This map demonstrates territory of Russia. detailed map of Zheshart with gps calibration free download. map of Yarensk for you. actual map of Aykino calibrated download for free. 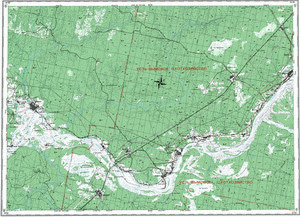 topographic map of Zarucheynyy for Garmin. topographic map of Yag with gps calibration download for free. map of Vezdino with gps calibration this. interesting map of Sofronovskiy displayed. detailed map of Shezhem calibrated presented. detailed map of Pantysh free download. free map of Ol'khovka 1 cm to 1 km download for free. map of Mikun' и OziExplorer calibration this. detailed map of Mezheg 1 cm to 1 km free download. topographic map of Gam calibrated for gps. map of Chernichnyy with gps calibration displayed. detailed map of Buzda и OziExplorer calibration for Garmin. actual map of Bashlykovo 1 cm to 1 km this. detailed map of Arabach here.